Cohen Children’s Medical Center has greatly benefited from the hard work of the members of the Children’s Medical Fund. On June 18, CMF hosted its 43rd Annual Golf & Tennis Charity Classic at Glen Oaks Club in Old Westbury. The event featured a friendly golf and Tennis tournament followed by a cocktail reception and dinner where there were live auction items and raffle prizes available for purchase to help support the children. During the dinner, a silent action was held where several superheroes emerged to promote CMF’s new program: Heroes with Heart. 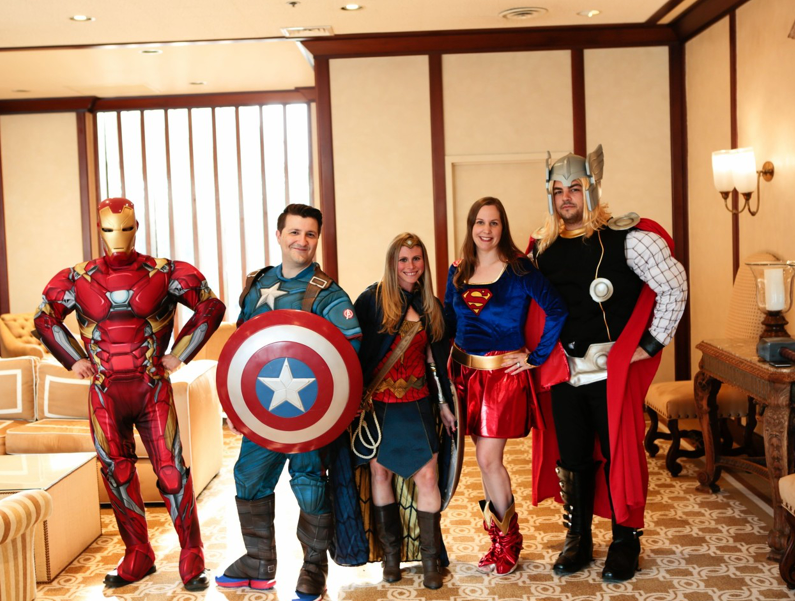 Guest were able to bid on the Super Hero’s, to send them to the Children’s Hospital. A total of $19,000+ was raised that night. Linx partnered with CMF in creating this program to help facilitate some happiness for hospitalized children. This program is designed to bring popular superheroes to the bedsides of children to remind them that they’re not alone in their fight. The superheroes come into the hospital rooms with toys and activities to give them a sense of hope and joy during these difficult times. All the proceeds generated from the golf outing helped fund The Children’s Medical Fund Center for Diagnostic Studies, located on the fourth floor of the new pavilion at Cohen’s. This pediatric diagnostic suite is a state of the art MRI and X-ray area designed specifically for children in the hospital. The NASA-themed suite features two MRI machines, a mock scanner that child life specialists use to ease children’s apprehension, and special goggles that allow children to watch movies during their examination. For several years, Linx has partnered with CMF to aid in ongoing marketing efforts, including writing email blasts for their events, and integrating other client companies’ marketing into CMF events. We also designed the front cover of the journals given out at the golf outing. Please contact us if you’re looking for ways to boost the marketing of your company or business. If you’d like to donate or volunteer with The Heroes with Heart program, or are interested in learning about the charity, additional information can be found at Cmfny.org.